Unfortunately, there are two very large Oaks that the developer who bought the house at 4160 Raynolds Avenue plans on taking down. This is one of the trees as seen from the neighbor’s yard. This tree is beautiful and in good condition. There is no reason to remove it other than it’s in their way. A view from the next door neighbor’s house. These two trees are so large, I couldn’t get them all into the picture. They form what is essentially a part of the landscape that makes these two lots so beautiful. They are directly on the property line and the developer, Gastion Inc. and developer, UAG Construction (who on their website claim ‘Sustainable Design’) want to take them down, presumably to maximize the square footage that he can sell. We don’t even know if the future homeowner would have wanted to destroy the barrier between the two homes and remove such an integral part of the landscape. That choice would be taken away from them in favor of the scant extra square footage. We have been in contact with the Environmental Resources Department and the Building Department. The permit to remove the trees has not yet been approved, nor have the building plans. 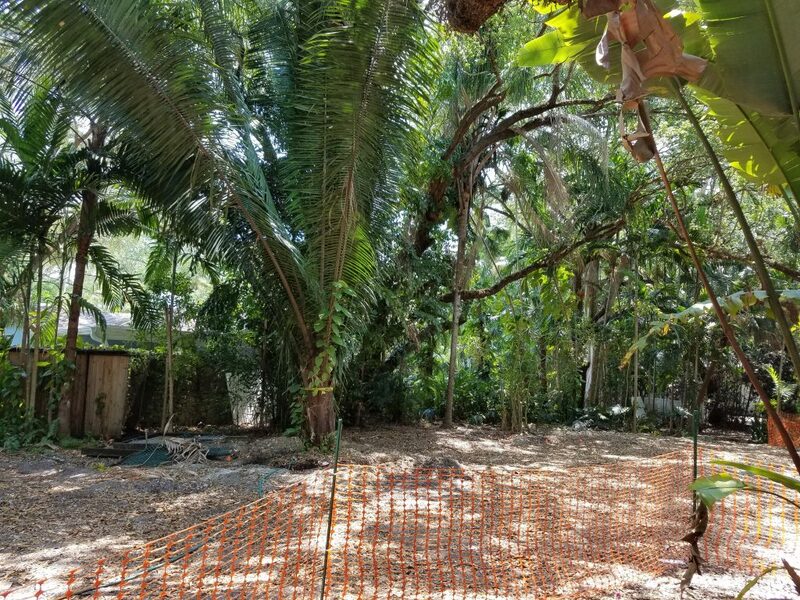 I frankly was very upset to see what is planned for 4160 Raynolds Ave.
Run off to 4130 and other properties – We observed approval by DERM on plans but did not see any civil engineering plans that would take into account the slope of the property from Raynolds towards Poinciana. We may have overlooked them. Raynolds Avenue – the street is about four feet higher in elevation than what used to the backyard of the 4160 Raynolds Ave property. If you look at what was demolished you entered the home at ground level on Raynolds Ave and if you exited the back of the home you were on a deck that was about 2 feet off of the ground and the land continues to slope downward to the property behind on Frantz. My concern is the run off from a newly built home within a limited feet from the property next door and at a higher level will be a problem for the properties next door. My neighbor has a problem with runoff from newer builds that front on Poinciana. 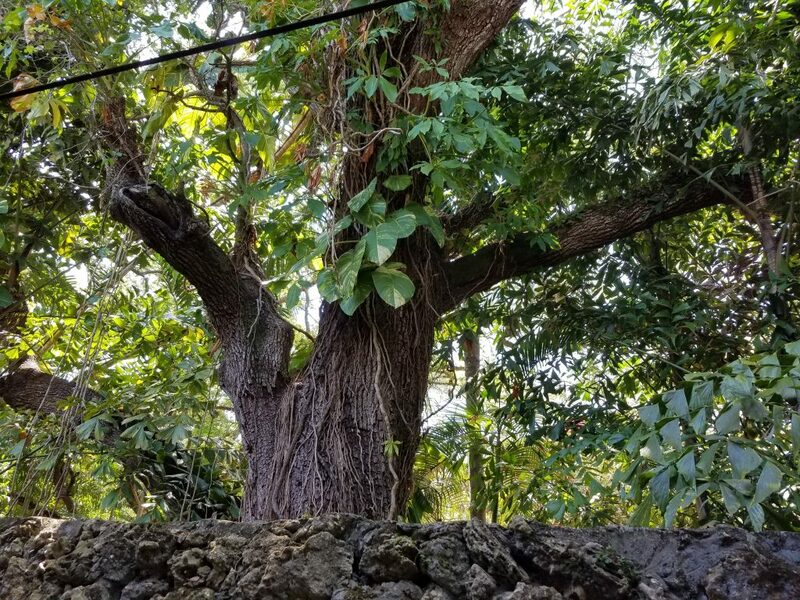 I observed that a septic system is proposed near the back where there exists a specimen ficus tree with figs on the trunk of the tree and a live oak tree on the Adams property. Does anyone take into consideration what is present currently in this area?? I also noted many windows are planned on the east side of the 4160 Raynolds 2 story home new build property that will view directly into the neighbor’s yard and home, particularly when all foliage and trees are planned to be removed within 8 plus feet of the property line, including the Live Oak trees 16 and 20. The property next door and the home that was demolished at 4160 were separated by what was probably 20 feet. Now there may be 10 feet separation between the buildings and the length of the next door pool area will have a two story building with lots of windows. Why was there no requirement for the new build to be within the same footprint of the demolished property? It seems there is no consideration given to the current residents’ homes in the area, the ambiance in the area and what has existed since 1940 in allowing this 2 story building to come to be placed with a grand view of the backyard of those who live in the 4100 block of Raynolds Avenue. 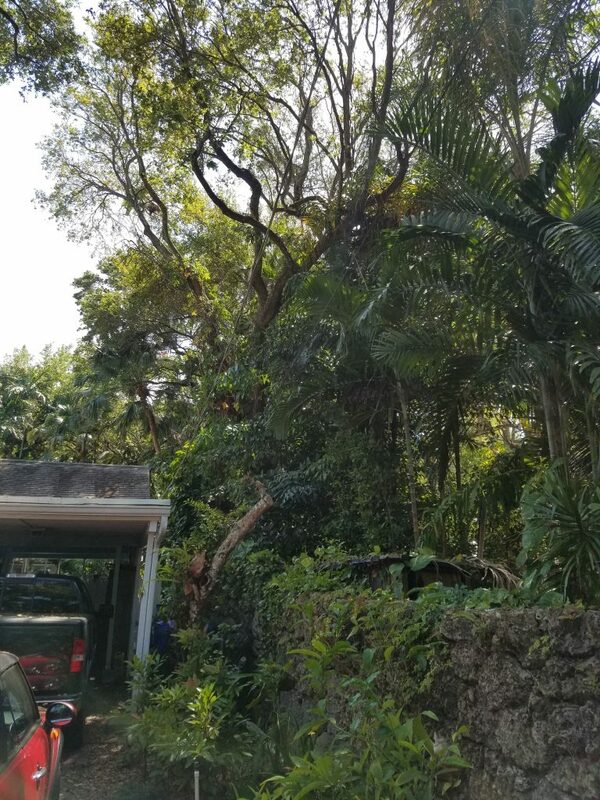 I am very disappointed to see that the live oak trees we are so concerned about have been proposed to be removed for a long time now and there is no notice in the community. Commissioner Russell, we need your assistance to preserve our community and our canopy in the grove. Here you can see the protection around the other trees (which is great), but they have very purposefully left off the protection of all of the trees lining the property line, including the two specimen Oaks. So there you have it. Please helps us keep an eye out. Once a decision is made on the trees, it must be posted publicly at which point we will have a very short window to appeal. Removing those trees would be like going to a mountainous area and deciding that the mountain is in your way, so you just remove it, ruining the view and quality of life for all of your neighbors. It is not neighborly in the least. It seems that the trees could peacefully remain where they are, if they are on or near the property line. They should not be interfering with the house plans.